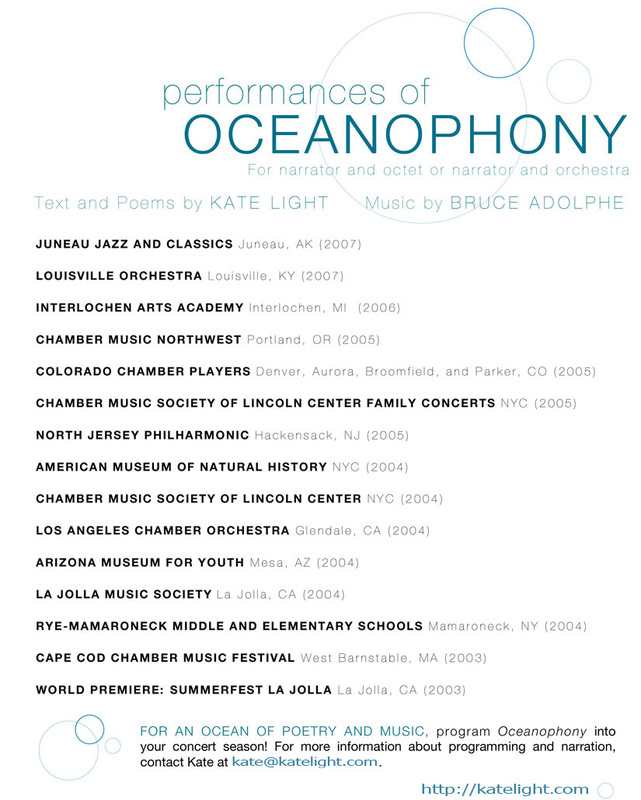 Oceanophony is no longer available. Watch for an upcoming version of Kate’s text with new music! Contact Kate to request a future email announcement.